Mother polar bear keeps her young close. 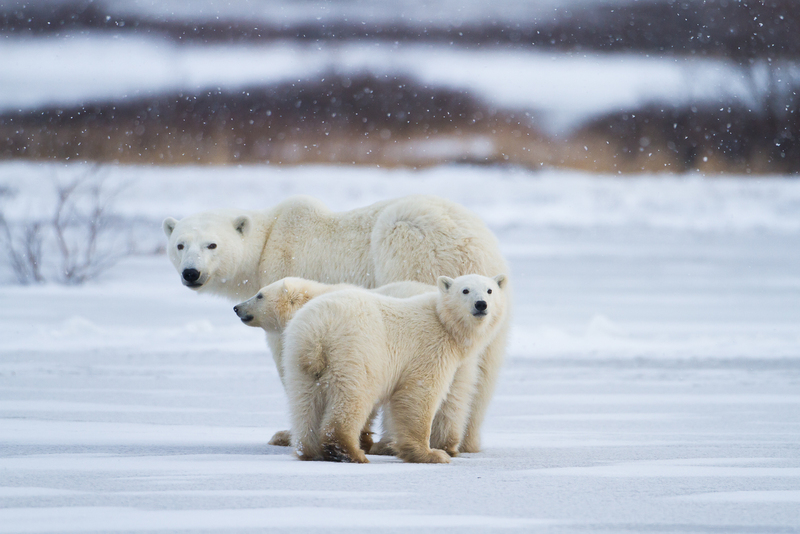 Larger male polar bears are her most concern during the first two years of the cubs life. Photo © copyright by Lance B. Carter.